The Centre is open to all, those of Faith and those of none. Our counsellors and psychotherapists share a Christian belief in the need for human wholeness based on authenticity and relatedness. Counselling and Psychotherapy can help us come to terms with the past; understand our feelings and reactions better; overcome relationship problems; find our own way into the future. 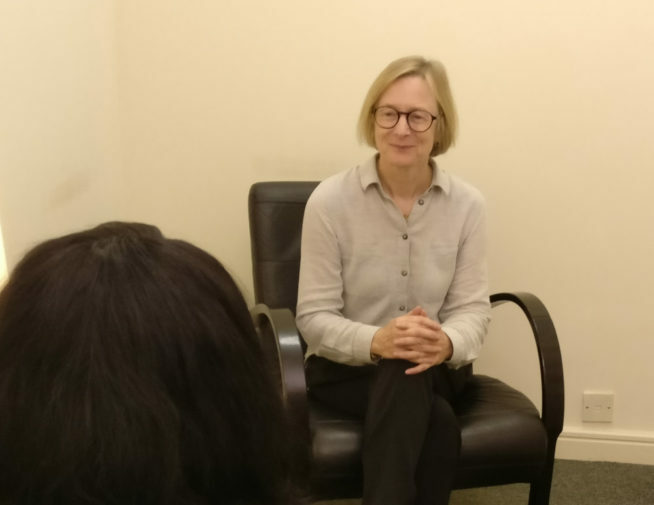 We normally offer one session each week of psychodynamic psychotherapy lasting up to two years, but sometimes other approaches or shorter periods of therapy are recommended when appropriate. Come and have an initial consultation with one of the members of our team. This will be with an experienced psychotherapist, who will look forward to getting to know you, and to learning about the difficulties for which you are seeking help. Following this meeting, we will either offer you counselling here, as far as possible at a time convenient to you, or advise where appropriate help can be found. In order to arrange a consultation, please complete the Application Form. The consultation, which is a “one-off” meeting, takes place during the day. We will offer you a date upon receipt of your completed application form. Please be aware: we are currently experiencing a high demand for our services. We will process your application as quickly as we can, but there may be an extended waiting time for an initial consultation and subsequent allocation to a therapist. For many years, this group, led by two trained facilitators, has been providing a friendly and safe setting in which those who are living with mental health issues can meet and share their experiences. Our facilitators are moving on to new ventures and so, sadly, the group will be meeting for the last time on Friday 1st February 2019 from 11am-12.30pm. We hope to be launching a new group in the near future. In the meantime, please click below for information about other drop-in groups which you are most welcome to attend. If you need any further information, please contact the Centre. We hope so! 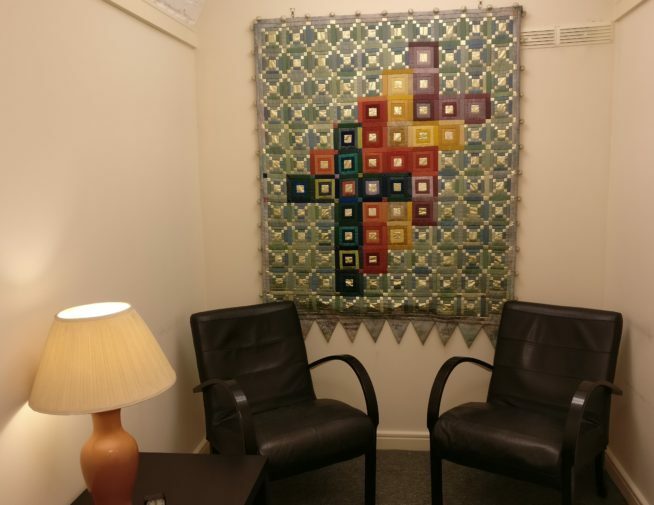 We offer once weekly counselling or psychotherapy for up to two years. People come to us with all the sorts of problems that many of us encounter from time to time in life; for example, depression and anxiety, difficulties with relationships, problems at work, bereavements. It is quite normal to have a rough patch in life when you feel you cannot cope and it is healthy to ask for help. A problem shared really can be a problem halved. Counselling and psychotherapy can help us come to terms with the past, understand our feelings and reactions better, overcome relationship problems, find our own way into the future. Counsellors and psychotherapists don't do anything to anybody. We are trained to listen carefully while you talk through your problems. We are there to support and help you to find your own resources to approach life in a new way. What sort of counselling do you offer? Our approach is that current problems are often rooted in earlier difficulties which need to be understood before we can grow beyond them. At the same time we may need to find more creative ways of managing our thoughts and feelings and of relating to other people. Complete the application form and return it to us with the appropriate fee. We will contact you to offer an initial consultation with an experienced member of our team. Usually no longer than four weeks – often much less. This depends on your income - £60 if you earn up to £45K, £90 if you earn over £45K and £120 if you earn over £75K. If you are a student or receiving benefits, the fee is £30. This is usually longer than a normal counselling session, so you should allow up to an hour and a quarter. How much do weekly counselling sessions cost? Our scale of fees begins at £25 and what you pay will depend on your income. This will be negotiated with your counsellor at the first session. We hope that no one is prevented from attending counselling through lack of money. Some assistance may be available from our bursary fund. How often do the counselling sessions take place? Sessions are weekly. After the initial consultation you will be allocated to one of our therapists. You would then see the same person at the same time each week so that you are able to build up a relationship with them. Do you offer counselling for couples? Unfortunately we are not able to offer counselling for couples at the moment. We suggest you contact Relate. Are you connected with the church? Yes, we are. 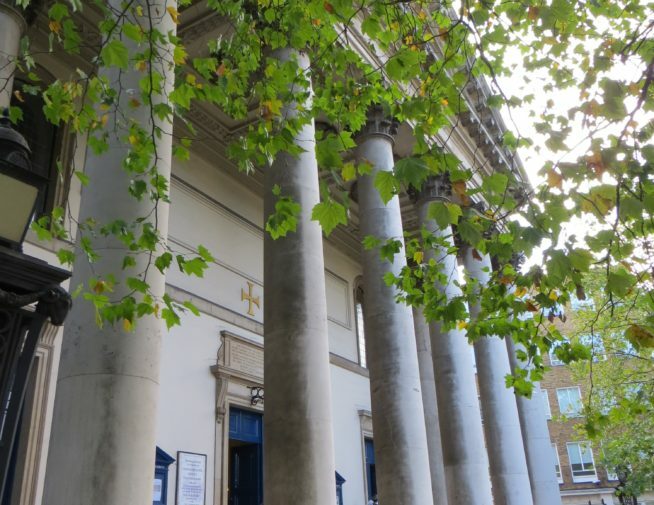 We are based in the crypt of St Marylebone Parish Church. All our counsellors and psychotherapists are Christians. This does not mean that you need to be - we welcome people from all faiths or none. We believe in the promotion of wholeness and healing for each individual, incorporating physical, psychological and spiritual aspects. No. We welcome people from all faiths or none. Would you pray for me in a session? Although our service is undergirded with prayer, we do not usually pray with people during sessions. Would I see a trainee counsellor? No. 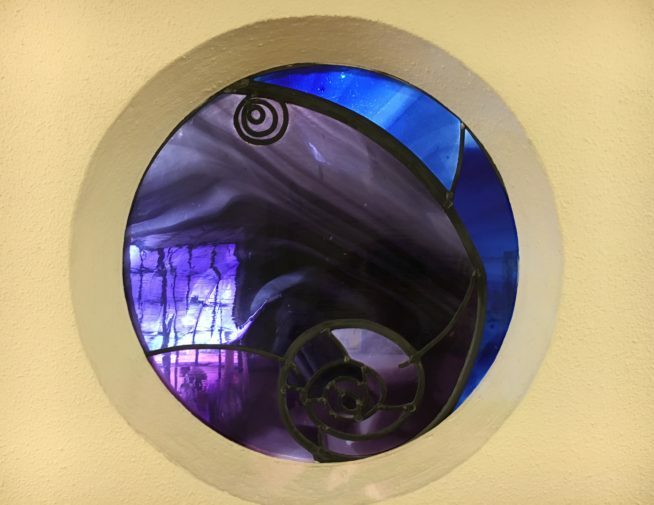 All our counsellors and psychotherapists are fully qualified and either accredited or working towards accreditation by the BACP or are registered with the UKPC or BPC. No. Most of our clients are self-referred. No. All are welcome. You just need to be able to get to our address in London. Do your counselling sessions have a spiritual bias? No, unless the particular issue you wish to discuss is of a spiritual nature. Religion would never be introduced into sessions by a counsellor, but any religious issues you might wish to discuss would be treated with sympathy and understanding. How is your Centre qualified to help me? All our counsellors and psychotherapists are fully qualified and either accredited or working towards accreditation by the BACP or registered with the UKPC or BPC. As a Centre, we have over eighteen years of experience, working with the diverse and multicultural population of Greater London and sometimes further afield. What would happen in a counselling session? The counsellor will attend to whatever you bring. They will seek to understand your feelings and make sense of things which may be upsetting, problematic or confusing. They will not offer advice. At St Marylebone Healing and Counselling Centre, our counsellors and psychotherapists have a similar approach. We see all our clients once weekly and use a "conversational" model, our aim being to be actively involved in a creative process with our clients. What if what you offer is not suitable for my needs? We will do our best to refer you to an appropriate person or agency.